I’m excited to actually be posting from the “road.” My time in Budapest is drawing to a near (tomorrow is my last full day here) and I am only now finding time to write. My first day here was a full one. I trekked through most of the city centre, visited the Grand Market Building, climbed the basilica of St. Stephens Cathedral and strolled down the river bank of the Danube. My partner, who has visited Budapest before, was anxious to revisit an old monument he had seen on his last trip. It was the end of the day and I was fighting both jet lag and sore leg muscles. At this point, all I wanted was to sit down and have a good cup of coffee. 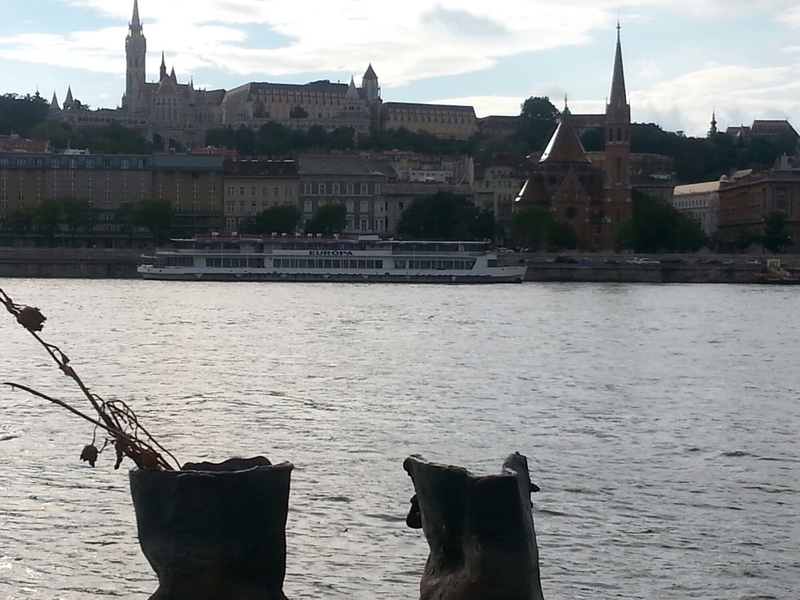 But, once we reached the humble monument on the edge of the Danube…all that was quickly forgotten. Shoes. Women’s heels. Men’s brogues. Sports shoes. Children’s shoes. Some with it’s counterpart, others strewn by themselves. There they were all along the bank. All cast iron and aged. I had known what to expect when walking to the monument, but seeing it was still a shock of reality. During WWII the Arrow Cross Party, a Hungarian political party founded on the same ideals as Nazism, killed 10,000 – 15,000 Hungarians (mostly Jews) and deported 80,000 to Auschwitz. Jews of all ages and professions were lined up on the river, forced to strip naked and then shot in the back of the head. Their bodies would fall into the river and be carried away. The shoes serve as their memoriam. The site was erected in 2005 and sits directly below the Hungarian Parliament building. 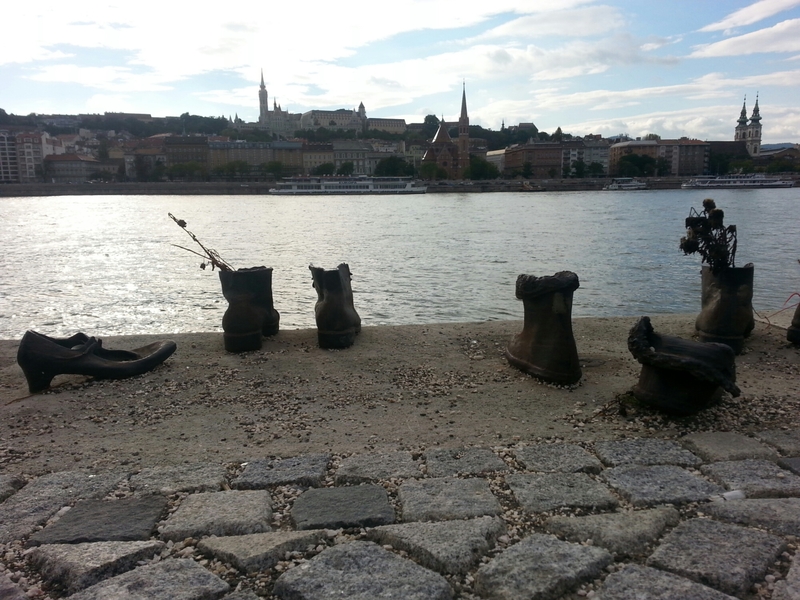 Today, the shoes are filled with flowers, candles and pebbles as a sign of homage to those who died on the bank of the Danube between 1944-1945. Budapest is a city with a long memory. The effects of WWII and the Cold War are still plainly seen today in the buildings, the culture and the people.